Luxury Yacht INDEPENDENCE OF HERM (Ex Independence) is a 64ft Moody Sailing Yacht which was launched in 2002 and designed by renown naval architect Bill Dixon. 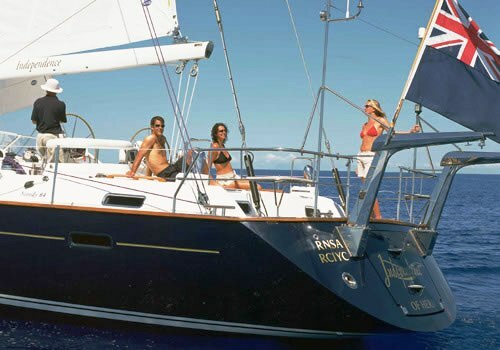 INDEPENDENCE OF HERM is the ultimate luxury sailing yacht now available for charter in the Mediterranean and Caribbean. 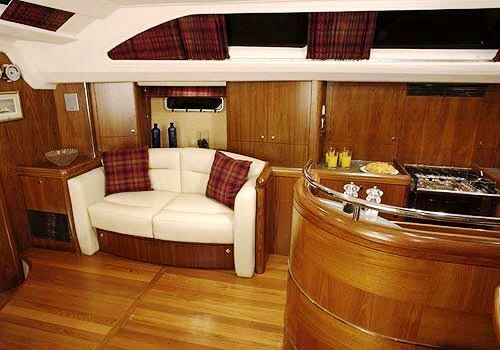 She offers spacious and comfortable accommodation for one or two couples or a small family. INDEPENDENCE OF HERM is fresh and airy with large side and forward-facing windows, high levels of natural light and superb visibility. Her interior designed by Roel Degroot offers cool colors, lacquered woods and refined fabrics throughout. Her salon includes a dining area for 6 guests, a small lounge, a flat screen TV, VCR and hi-fi system. 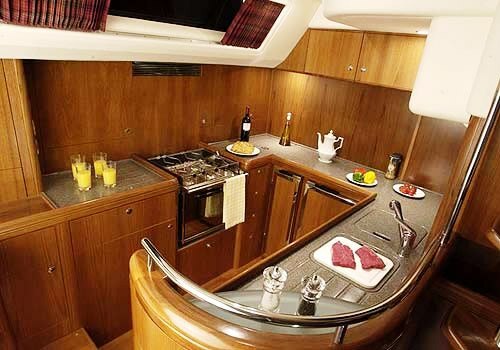 The accommodation onboard INDEPENDENCE OF HERM is equally comfortable with a large full width owner’s stateroom with full en-suite facilities and a flat screen TV. 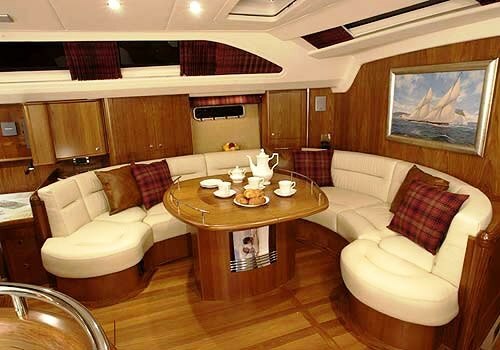 It is accessed through a study area, aft of the yacht. 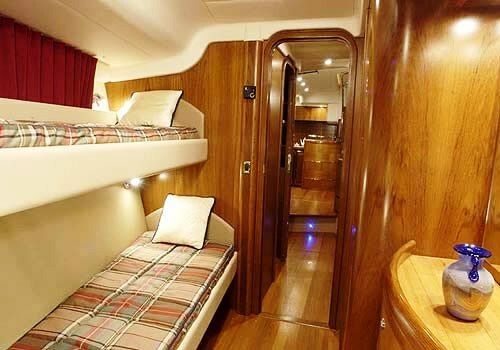 There are two further guest cabins forward – one a double and the other a cabin with twin bunks. 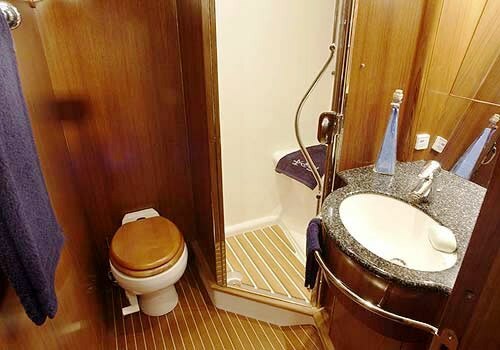 Both cabins has ensuites with toilet and shower compartments. Bill Dixon, along with Princess Yachts have beautifully combined luxury with impressive sailing performance in INDEPENDENCE OF HERM and she performs better than many other yachts in her class. 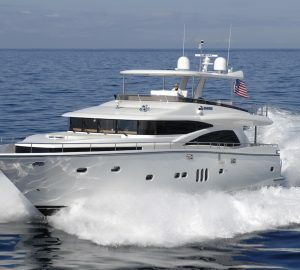 With a centre cockpit, she’s the ideal ocean-going yacht designed to undertake blue water cruising in uncompromised comfort and style. The Moody 64 Yacht is a remarkably powerful boat and her excellent performance results from the latest generation hull shape which balances the power of the underwater sections and lead keel with the tall, high aspect ratio, hydraulically powered fully furling cutter rig with self-tacking stay sail. Despite her length, INDEPENDENCE OF HERM is easily handled by two crew as all sails and systems are controllable from the cockpit. 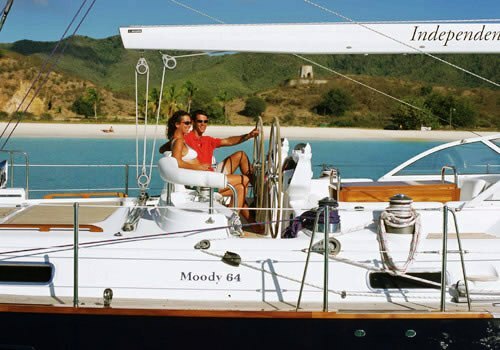 The Moody 64 sailing yacht also includes a 15hp bow thruster, chart plotter and generator. 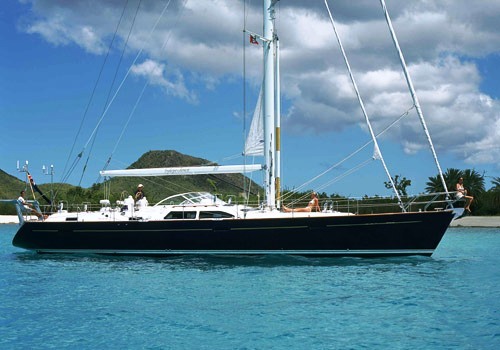 Sailing Yacht INDEPENDENCE OF HERM is the ultimate in sailing comfort and performance and she is now available in the Caribbean and Mediterranean. 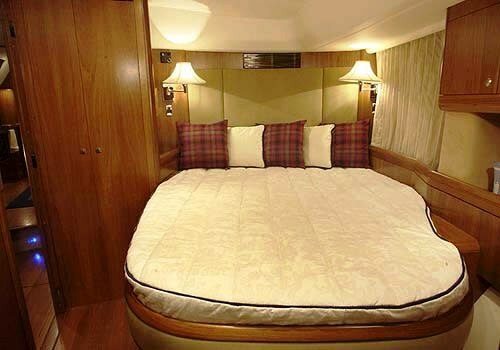 Sailing Yacht INDEPENDENCE OF HERM sleeps 6 guests in 1 full width master stateroom, 1 VIP cabin and 1 twin with bunks. 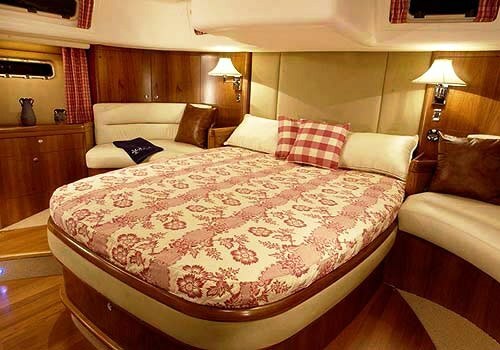 The crew of 2 are accommodated in separate quarters.